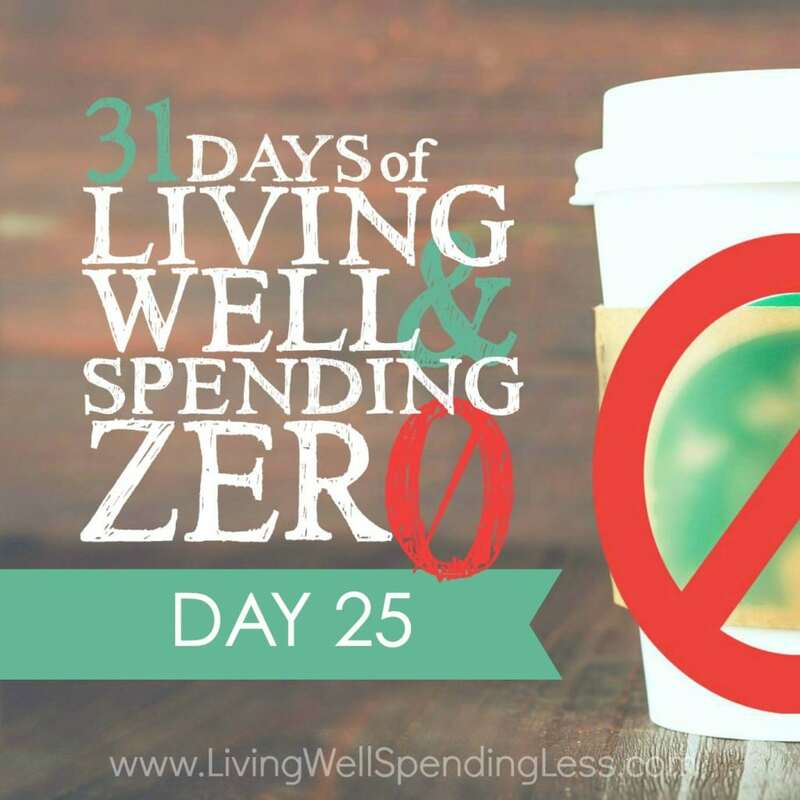 This is the twenty-fifth day of our 31 Days of Living Well & Spending Zero challenge. Start with Day One here. It’s those little things you buy that can add up almost as much as a weekly movie habit or restaurant visit. So what have you learned so far? What’s been your biggest challenge? Of course, if you are anything like me, you may be, for the most part, enjoying this challenge of seeing just how much you can do without. It is forcing you to view your approach to money and stuff in a slightly different way, and while it might not always be sunshine and roses, you can see the benefit, feel the benefit, and the sacrifice is worth it. Yesterday we talked about how to get something for nothing. Today we are going to get something for something. Today you’re going to learn how to trade things you have for what you want! If that sounds scary, take heart. 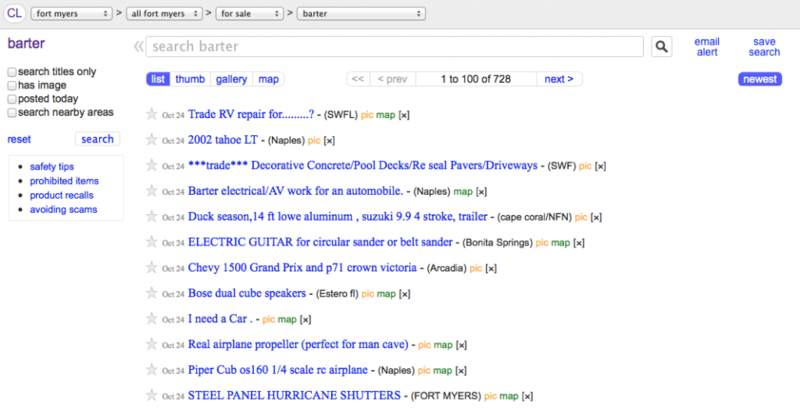 You do not have to be a swap meet pro to barter! It can be as painless as a simple trade with a friend. The key is to figure out what you have to offer that someone else would want. 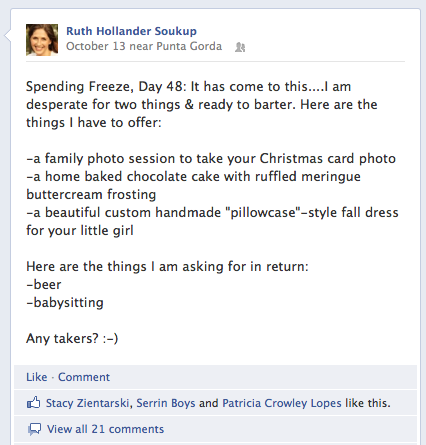 It can be as easy as exchanging babysitting with a friend or doing the dinner swap that we talked about back on Day 4. Believe me, everyone has something! Is there a particular thing you’re good at, or something you cook or bake that everyone loves? Do you love to clean, or could you babysit for the afternoon? Do you have a talent or skill you could share, such as photography or sewing or knitting? Do you have extra food or toothpaste or razor blades in your stockpile, or too many jars of homemade jam in your pantry? Do you have any gently used books or electronics or clothing you’re ready to pass to a good home? Are you willing to run errands or paint or be a handyman for an afternoon? Think hard. You’ve got something. Think about what you’re good at and get ready, because we’re about to make a deal! Once you come up with your plan, the first place to tap into is your own network. This might mean asking a neighbor or a fellow parent, or putting up an ad on your church bulletin. To get you going, here are six other ways you can find a barter partner. Despite a little teasing from some friends, let me tell you—I had many offers for both babysitting and beer, and a very happy husband! It’s okay to be cheeky with your post, especially if it’s something small. If you’re nervous, have a little fun with it. Friends will respond happily and helpfully, I promise. If bartering isn’t in your “comfort zone,” all the better—if bartering is unusual for you, your friends will be much more likely to respond quickly and kindly. If you decide to aim for something a little higher than just beer and babysitting (professional services like editing, computer programming, or consulting; or an extended stint of dog-sitting, help with moving, or labor-intensive yard work), be prepared to pony up with equal or better services. Typically the “asker” needs to bring something lucrative enough to the table to entice the “giver” to give. Remember, you’re trying to get someone to forgo pay, so you need to make it worth their while. Gone are the days when you could entice college buddies to move your stuff with a promise of pizza and beer. As adults, we probably have to be a little more generous and reciprocate manual labor—so be prepared to roll up your sleeves and get to work. Bear in mind that you’re still getting what you need without spending a dime. Customarily, garage sales happen because people want to get rid of things (not accumulate more). 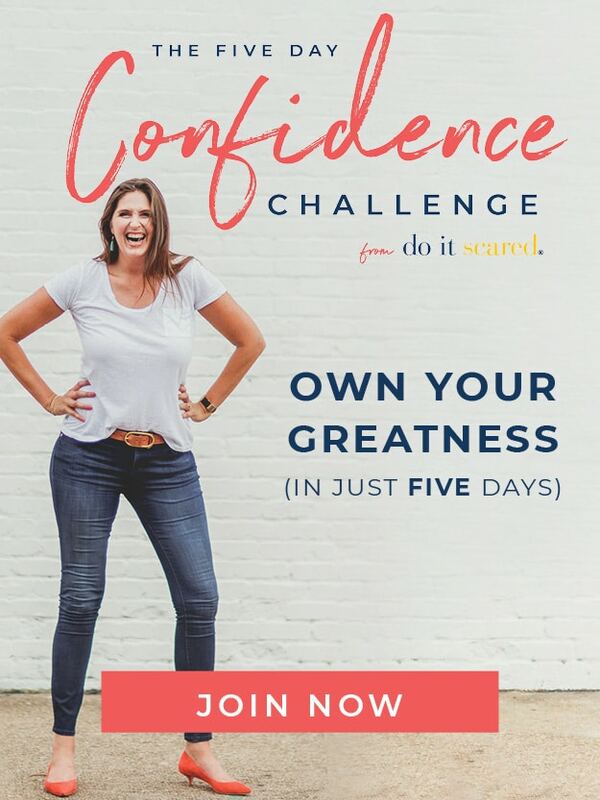 A while ago, I read this great post from One Hundred Dollars a Month, where blogger Mavis and my friend Amber (from Coupon Connections went around to garage sales dressed as a pilgrim and a native American to barter and trade. All in all, they were quite successful in snaring kitchen items, garden items, and more in return for groceries and items from their garage sales. Dressing up in costumes and running around your neighborhood might not be for everyone, but try having a little fun the next time you go to a garage sale. Instead of offering cash, think of what you have, and put it on the table—“I would really like this umbrella stroller for my two-year-old daughter. I see that your son has outgrown it, and my eight-year-old son has a perfect set of rollerblades that no longer fit him. Could we trade the blades for the stroller? I’ll bet your son would be the right age.” See how easy it is? Back to the resource that is Craigslist. While Craigslist has gotten some bad press over the past few years, it can also be an amazing resource (as long as you use some common sense when dealing with strangers!) Often our barter section is filled with larger items (trade a small boat for a surfboard), but it’s certainly worth posting smaller items on there to see if anyone bites. The great thing about Craigslist is that people are in the buy/sell/trade mindset already so they’re looking for commerce opportunities. 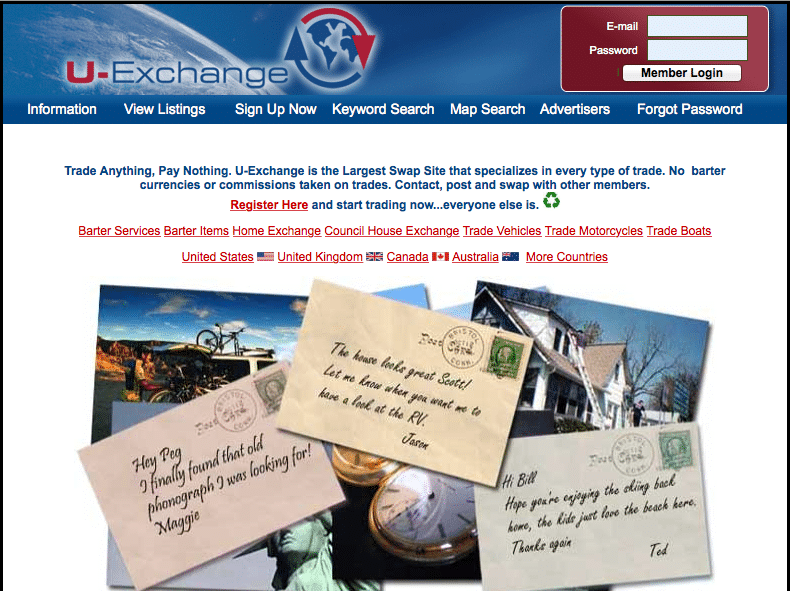 U-Exchange is a similar “listing” service that’s free to use and 100 percent based on bartering. In one column, you can view all the listings in your area and the services that person is offering. In the other column, you can view what they’re seeking. Neat! 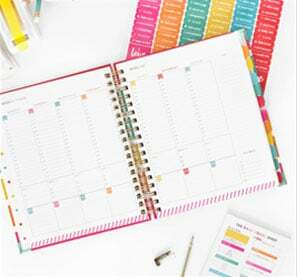 You can find almost anything listed from children’s toys to dental care to marketing and consulting services. 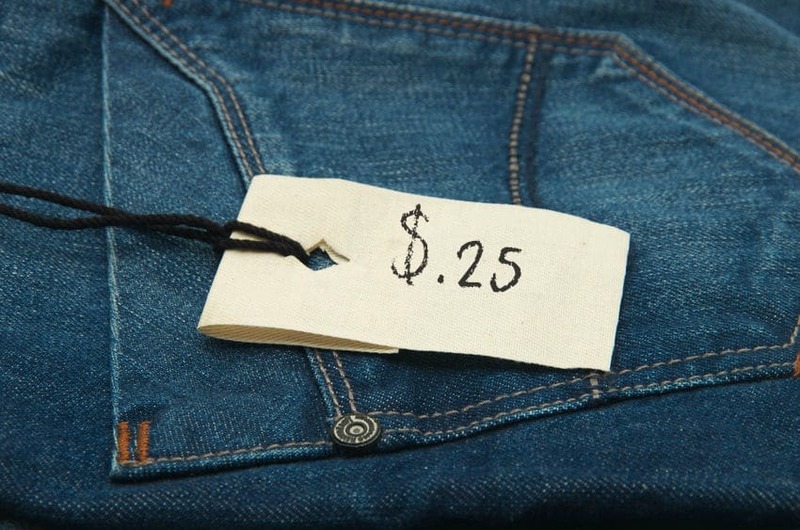 Another site to check out if you’re really into bartering is TimeBanks . The way that time banking works is: say Person 1 needs landscaping services and is willing to trade photography services. Person 2 wants photography, but is a yoga teacher. Person 3 would trade some catering services for yoga lessons, and Person 4 is a landscaper in desperate need of a caterer. (Whew.) So, each person “banks” their time and uses it on a pay-it-forward principle. Typically time banks vary by region and are run and managed by community organizations. They often require members to “bank” a certain amount of time each month, quarter, or annually to keep the bank operating. Perhaps your neighborhood has a babysitting co-op, food exchange, or other service. 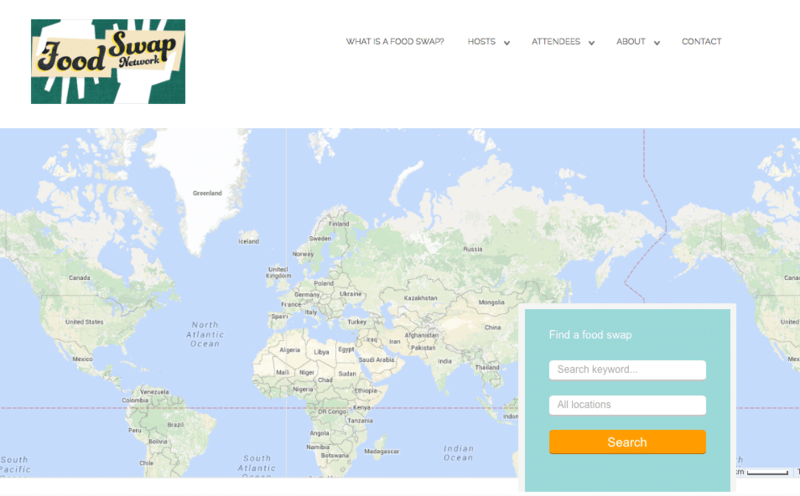 Many communities are listed on the Food Swap Network , Babysitting Co-op , or are listed in groups on Facebook. Even if your neighborhood isn’t listed, you can find guidelines on how to host your own community swap or co-op. 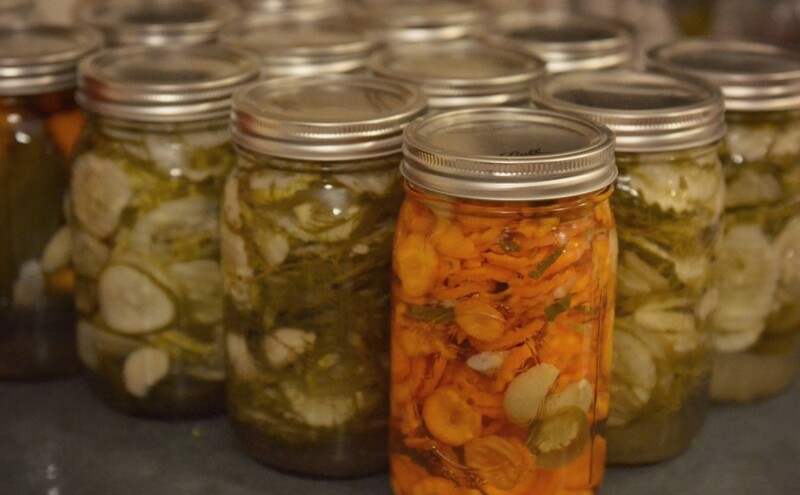 If you put up pickles this year and would like to exchange them for tomato sauce, this might be your best bet! I love hosting a good party! While you’re on your spending freeze, parties can seem like a thing of the past, but you know what? You can host a frugal, thrifty, and fun swap meet party! First pick a theme—an accessory or clothing swap would be great to give new life to the things you cleaned out on Day 12, or try a kids’ toys or clothes exchange for your items from Day 10 . Perhaps you have a friend that has fabric but no ribbon or a friend who has a bunch of chalkboard paint—and let’s say you have a gazillion tiles for coasters. Have a “craft swap” and tell everyone to bring a component or two and host an afternoon of crafting. To do it for free, make it a potluck and clean out the recesses of your liquor cabinet to make a fun signature drink. (Consult a mixologist app to see what can be made with say, bitters, Amaretto, and brandy, or just make it BYOB.) Light a few candles, put on some music, and voila—you’ve got a party with zero dollars spent. I’ll warn you … bartering gets a bit addicting! You may have so much fun doing a clothing swap, or your husband may be so thrilled with your Craigslist finds that you’ll become a bartering expert! See what you can trade for, today!